WARNING: This video is not for feet-haters. But if you’ve been suffering from rough, dry heels or rock-hard calluses, you’re definitely going to want to watch until the end. 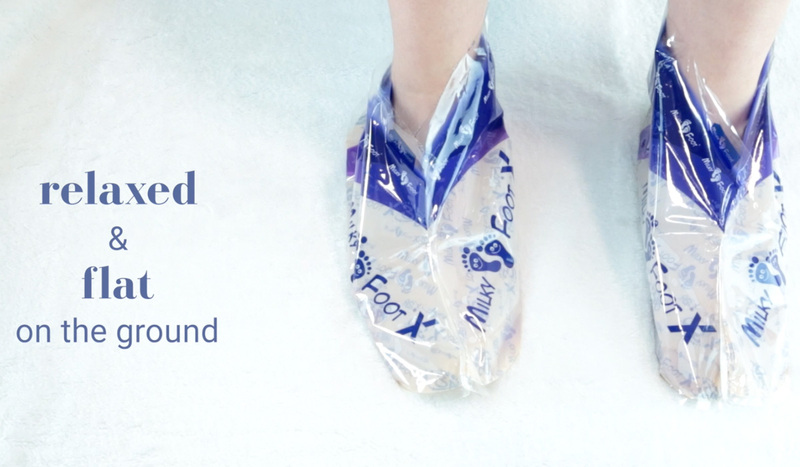 Milky Foot is an at-home intense peeling treatment for feet. bh’s Laura kindly volunteered to try it, so you could see exactly how it works. As summer is just around the corner, it’s the ideal time to start prepping your feet (hello, sandal weather!) and Milky Foot is certainly one hard-working option. #1 First, make sure your feet are clean and dry, as well as free of nail polish, moisturiser and fake tan. #2 Cut along the dotted line of the foot pad and then place one on each foot. #3 Leave on for 45-60 minutes, keeping your feet relaxed and flat on the ground so the product is covering your feet evenly. Once the time is up, remove your feet, rinse them in warm water and towel-dry them. 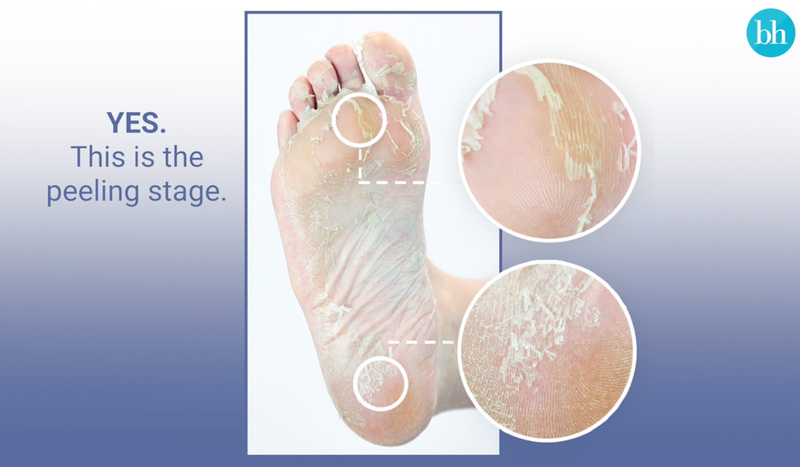 #4 Your feet will start peeling within 3-7 days and can peel for up to a week, but you shouldn’t feel any pain. #5 Once the peeling starts, you can speed up the process by soaking your feet in warm water. #6 As tempting as it might be, do not pull on the peeling skin - just let it fall off naturally. #7 Also, this may sound gross, but it’s a good idea to wear socks to bed to catch the dead skin as it falls off overnight. #8 Milky Foot is such an easy way to achieve smooth feet and you can repeat the process every two months. #9 Laura used Milky Foot Active, which is specifically formulated for active people and has the added benefit of neutralising foot odour. There is also the original Milky Foot, which is available in regular and large sizes. 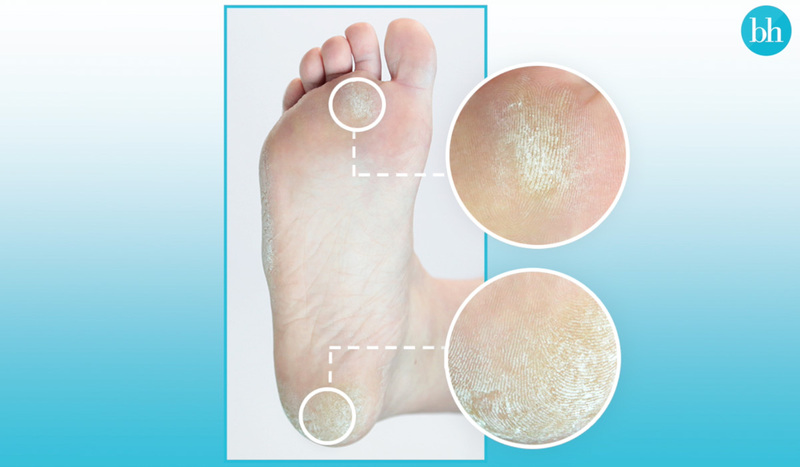 Do you suffer from dry or hard skin on your feet? Have you tried Milky Foot? I need something for my dry feet. Luckily my feet don't get too dry & if they do only a tad in small sections which I can use a pumice stone for. The results look very impressive! Hmm...need to warn my partner before i use this. He may think i have caught some bacterial infection on my feet! This product is 'the business'. 100% works everytime and delivers as advertised. 100% silky feet after the peeling has stopped. Winter is the perfect time to use this product as people won't see your feet as the skin flakes off. I definitely need this. Perhaps it will then be an incentive to look after my feet properly. omg I NEED THIS stat! Seems a lot of hassle for a few days, a foot file after a good soaking gives the same results! I've heard great things about this and will definitely be truing it out! I have used these before and will do it again coming up to summer soon. Then I upkeep with the body shop blue sponge thing and their hemp or peppermint foot cream. Wearing socks while peeling really is crucial though, it's gross. Soaking in the bath will help it peel off quicker too. I can't recommend this product enough its great!! It works and improved my feet. This looks far too scary, I'm sure its great but eeeeeek the peeling looks horrendous! Coming up to my special day this would be so great. I think this is great! The Milky Foot Active pads are so fabulous and great sounding, nothing like smooth feet. My feet luckily don't get hard or calloused, but even mine peeled sheets of skin off after using Milky Foot - I loved it!! I got this product in the last beautorium I love it makes my feet feel wonderful. Not used this product. I just use a foot exfoliator, then a pumice stone and a nice soothing foot cream does the trick!